There is no way to describe the feelings you go through when you lose a pet....I have had two cats for over 15 years and when we came home after a few days away over the Christmas holiday, one of my cats was sick. We had no idea how sick until we arrived at the Animal Hospital. I have indoor cats so I don't have a regular vet...I called as soon as WRAH opened and was told to bring Wylie right in. Everyone was so kind and accommodating when we arrived. We met with the Vet Tech and he truly showed compassion and love to my cat throughout the whole meeting. We then met with the Vet and got the same warm feeling as well. They needed to run some tests and told us to come back in an hour....when we got back it was the worst news ever. The Dr. was so kind, considerate, and compassionate. The Dr. took so much time with us to explain our options. He even talked about his own cat that was about the same age. We all decided together the best option but unfortunately we lost our sweet kitty that day. I can't imagine going through this with anyone else....the team, staff and Dr. were absolutely amazing as we completely feel apart through the process. Since that day, we have received calls, cards and even a sweet plaque with a paw print from our kitty...mind you we were only a patient for a day but were treated like they knew us for years! Wylie will never be forgotten and neither will the kindness for this amazing team! Thank you for all you did for us…we just got a puppy and you will for sure be our vet! Dr. Strauss has been instrumental in keeping my boy healthy and alive after a grim life threatening prognosis when he was 14 months old. Dr. Strauss is a great Doctor and has always taken the time to check up on us and make sure Matise is doing well with his life long condition. Dr. Feldt is a also great Doctor with an amazing bedside manner. He is always willing to talk out the care plan and any concerns and always returns calls. The office staff is always welcoming and caring. The facility is very nice. The location can't be beat. I've been a client with this team for 12 years and wouldn't consider trusting anyone else with Matise's care. We LOVE Dr. Strauss and his staff. They are always very accommodating and friendly and most of all Dr. Strauss has always taken excellent care of our 9 year old Weimaraner. I am very selective in choosing a vet for my pets and Dr. Strauss is the best. He truly cares for his patients and always has their best interest in mind! I absolutely love this animal hospital. I've had pets all my life and have been to many different vets, but this place is my number one choice now. Dr. Strauss and everyone else are the most amazing, friendly people and are very knowledgeable of what they are doing, it is clear they are there because they love what they do. When my little love bird got sick they gave him the best care imaginable and the best treatment they could. They stayed in constant contact with me even when I ended up having to board him to get treatment. Even though I ended up loosing my little one to his illness I believe Dr. Strauss and his team did everything they could and he was in the greatest care possible. I still am so grateful for everything they did for me, they really are the best. I have been going to Weston Road Animal Hospital for 15 years and I would highly recommend them to anyone. The office staff, techs and Dr. Strauss & Dr. Feldt are so committed to giving the best health care to your loving pets. 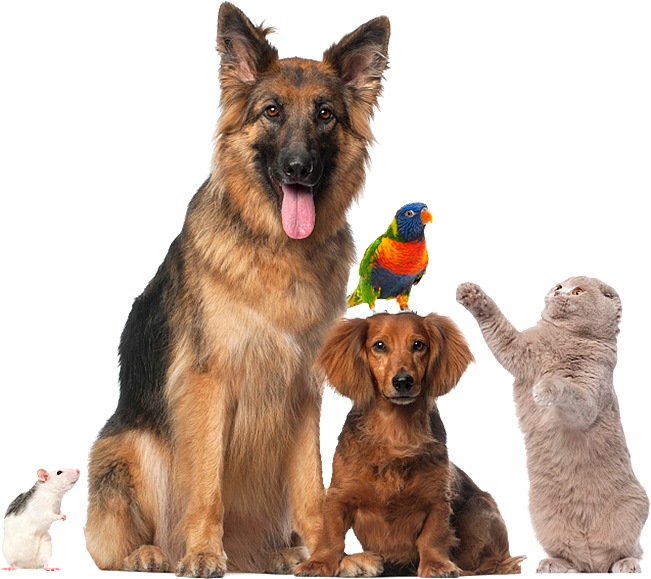 They always make you feel welcomed, they always follow up with phone calls to see how your pets are doing, They are all very professional and compassionate about the care of your pet. They are top notch in my book.